Living with multiple failing teeth is discouraging. It can be challenging and even painful to eat the foods you once enjoyed, and you might feel embarrassed interacting with others due to the appearance of your teeth. Unfortunately, the loss of one or more teeth tends to lead to more tooth loss as your jawbone begins to deteriorate when your roots are lost. Surrounding teeth may also begin to shift into the open space left by missing teeth, and this may result in bite misalignment. The good news is that full and partial dentures are an excellent option for restoring multiple and even an entire arch of missing teeth. Here’s what you should know about dentures in Tullahoma. Dentures are able to restore both function and aesthetics to your smile. They also restore the appearance of your face as missing teeth tend to give it a more sunken appearance and may make you look older than you are. Implant retained dentures provide the added benefit of keeping your jawbone healthy and stimulated for bone regrowth. This ensures better longevity for your denture and protects against the bone deterioration that occurs with traditional dentures. A partial denture works like a puzzle piece and fills in the open spaces in your smile with prosthetic teeth. It uses metal clasps to anchor to healthy teeth and fits much like a retainer. Partials are removeable and can easily be taken out at night for cleaning. A full denture is made of acrylic and designed by your dentist in Tullahoma to restore an entire arch of teeth. It relies on suction and a secure fit to stay in place. You may be picturing the dentures your grandma wore; however today’s dentures not only complement your skin tone, but they also restore your facial structure. 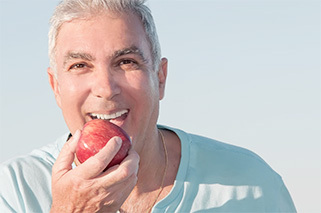 Many patients feel that their dentures take years off of their appearance. 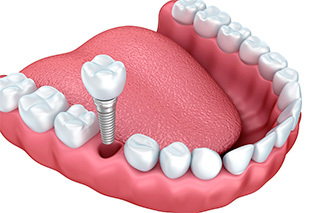 Dental implants can be used to anchor full dentures and provide a more secure and stable fit for denture wearers. A few dental implants are strategically placed into your jawbone and the denture is designed to “snap” into place. Implants prevent the chance of any movement or slippage when you talk or eat. The cost of dentures varies greatly with each patient’s unique circumstances and the complexity of their case. The best way to determine how much your denture will be is to schedule a consultation with Dr. Petty so he can evaluate all the factors of your case such as what type of denture is needed, how many teeth will be extracted, and if implants are right for your needs. Dr. Petty will be able to quote you an exact price for your denture and all the necessary procedures involved during your consultation. 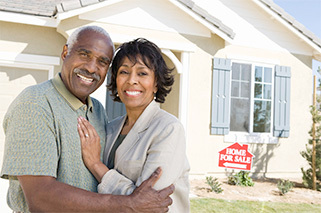 Our knowledgeable and helpful treatment coordinator can help you review insurance coverage for dentures and determine how to comfortably fit your treatment into your budget. Contact Petty Dental today to schedule your consultation and learn more about the possibilities for your smile!